These are stock products which are ready for despatch on the next working day. 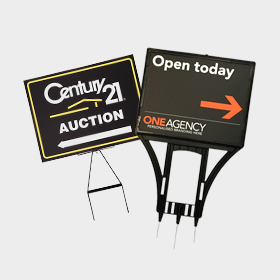 Our Ground Spikes & Signholders are a cost efficient method of displaying your corrugated plastic signs on a soft ground surface. 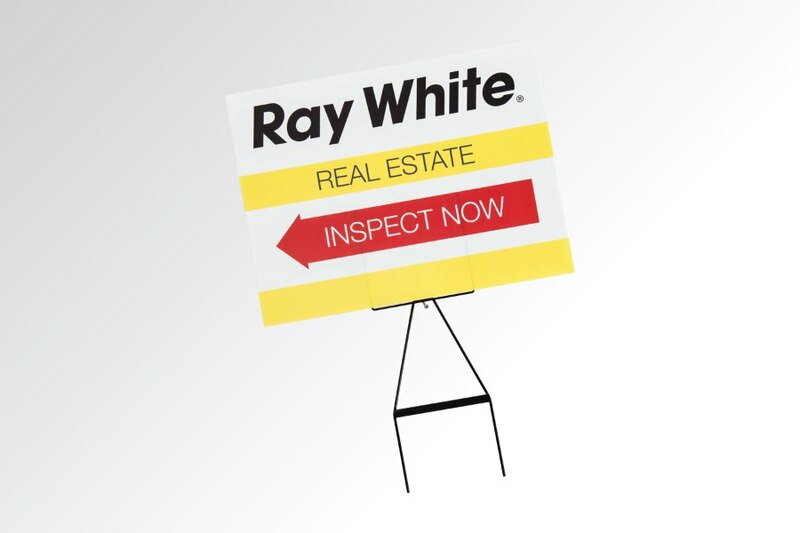 These sign holders are very popular with Real Estate agents. 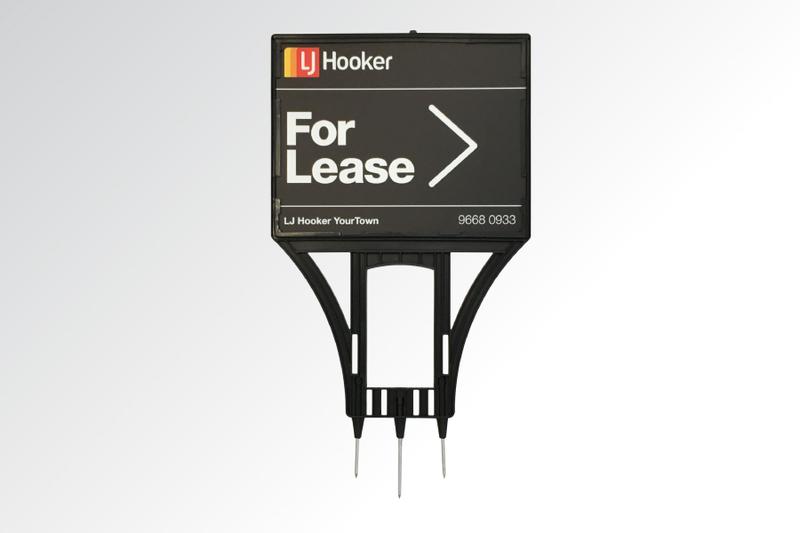 The prices on this web page are for the spikes & signholders only and do not include any Signflute™ signs. Metal Ground Spikes are sold only in packs of 10. 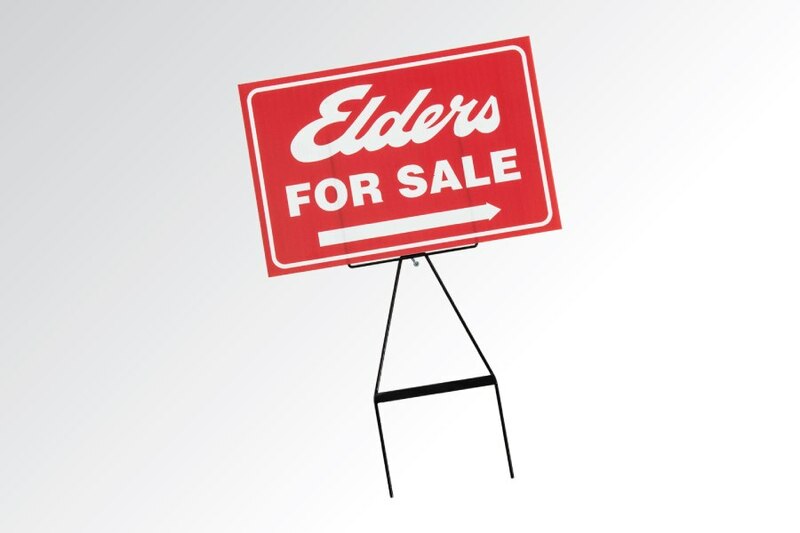 Signholders are sold only in packs of 5. 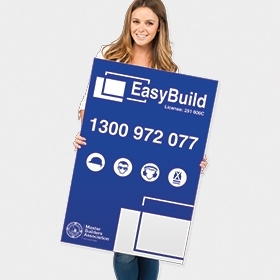 When purchasing Signholders, please let us know the colour frame you would like in the order notes after you complete the checkout process. 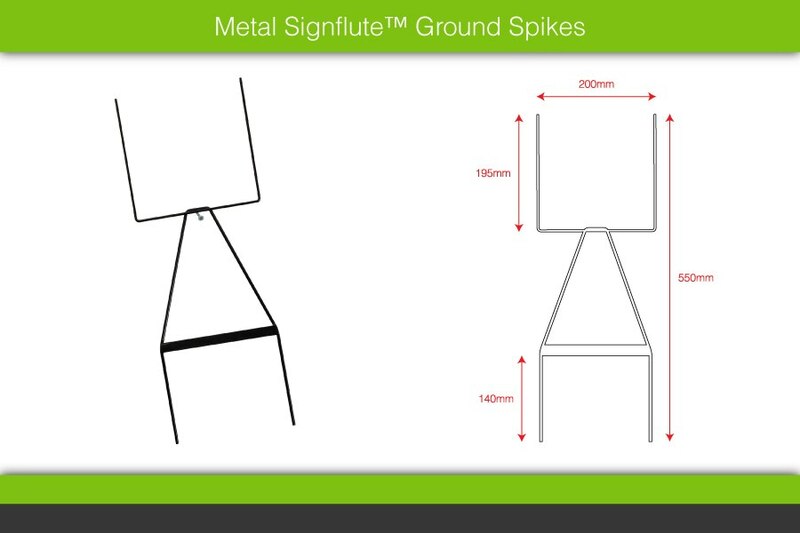 ** Important: Our Metal Ground Spikes are only suitable for signs that have vertical flutes. When ordering Signflute™ Corrugated Plastic Signs to go on Metal Ground Spikes you must specify that you require the flutes to run vertically. 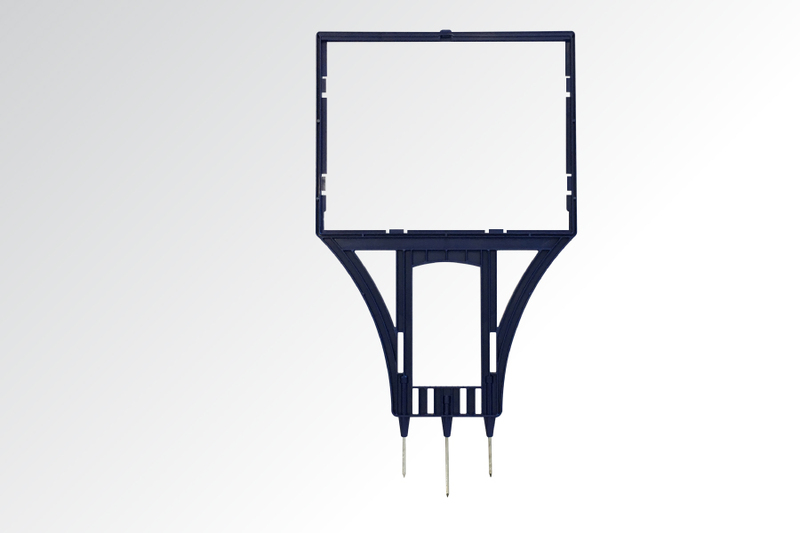 Click here to order some Signflute™ Corrugated Plastic Signs to put on your spike sign holders. 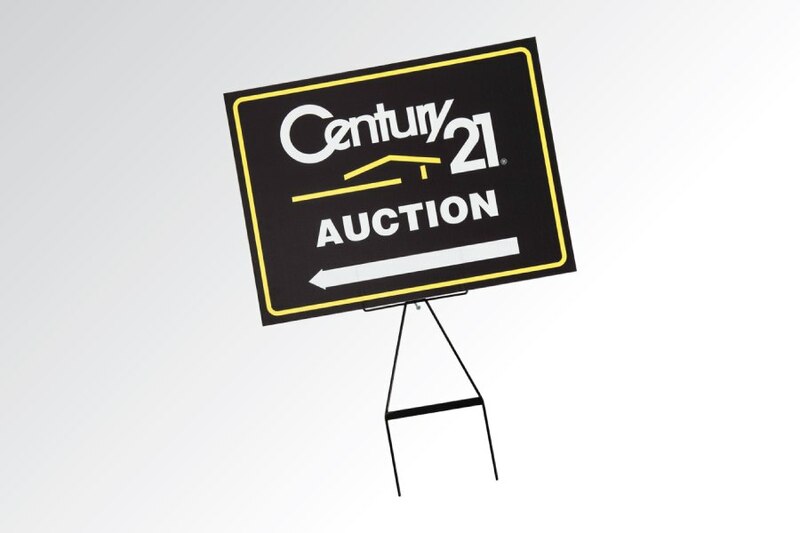 Can I also buy the Signflute™ signs from you? 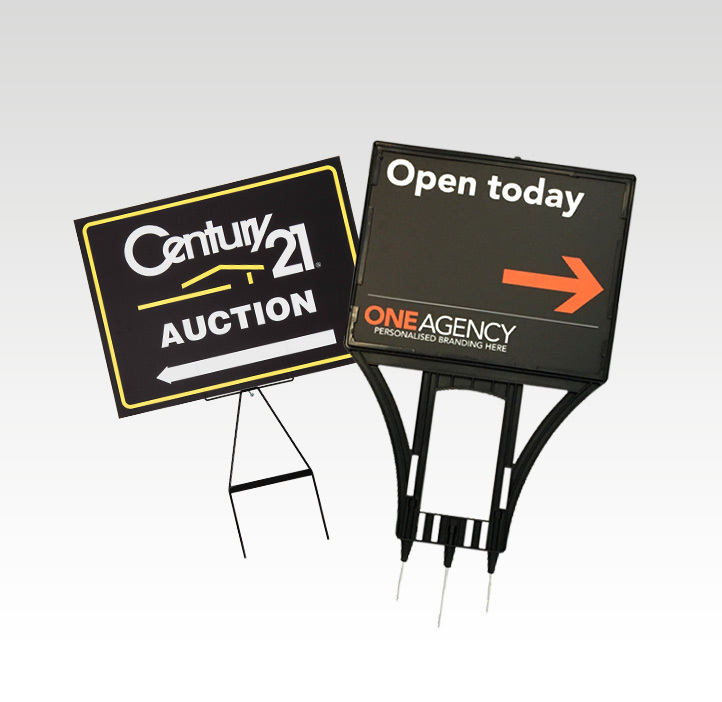 Yes - you can price and order your Signflute™ signs on our web site. 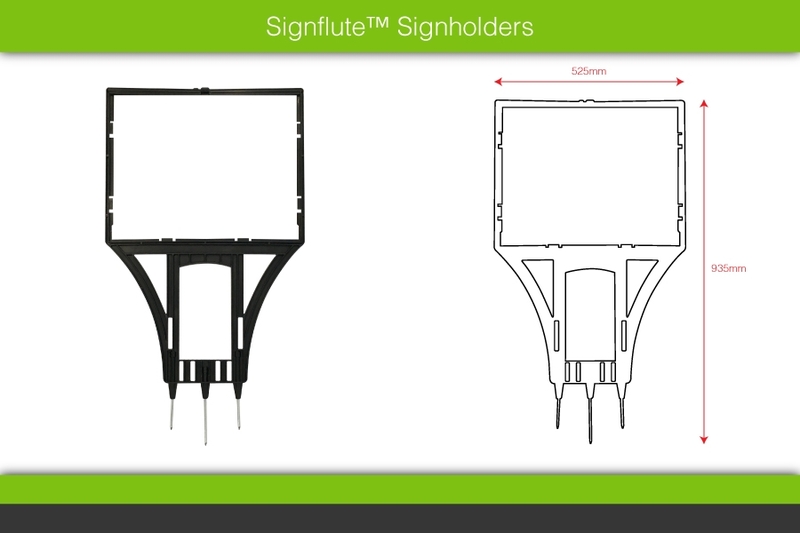 If you order Signflute™ signs with your spikes or signholders, there is only one delivery charge. 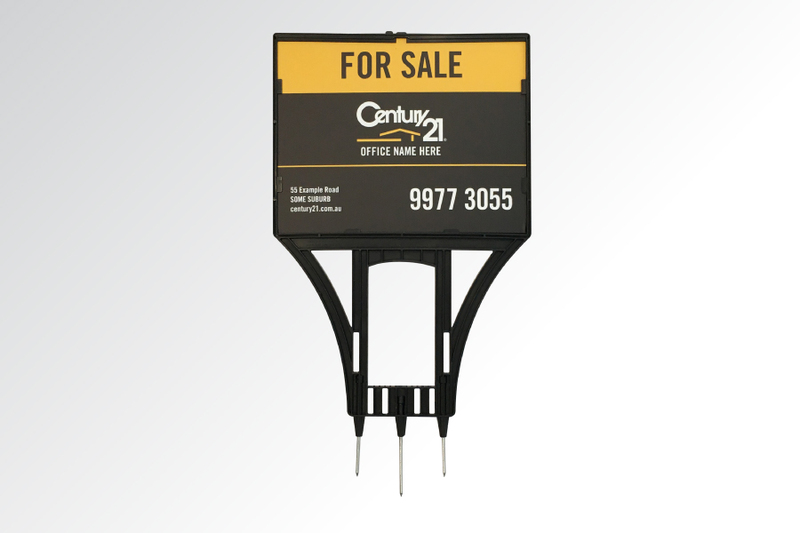 How do I attach the Corrugated Plastic sign to the Metal Ground Spikes and Signholders? 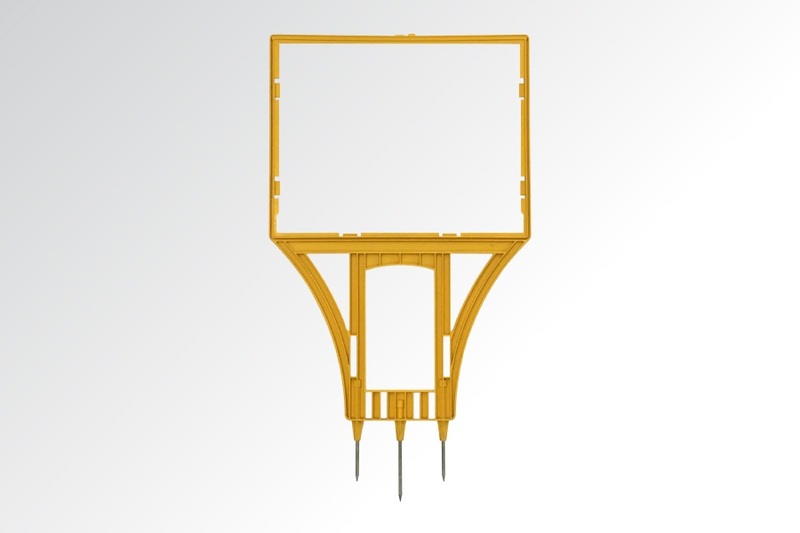 What is the difference between the Ground Spikes and the Signholders? These are two completely different products which can be used for the same purpose. 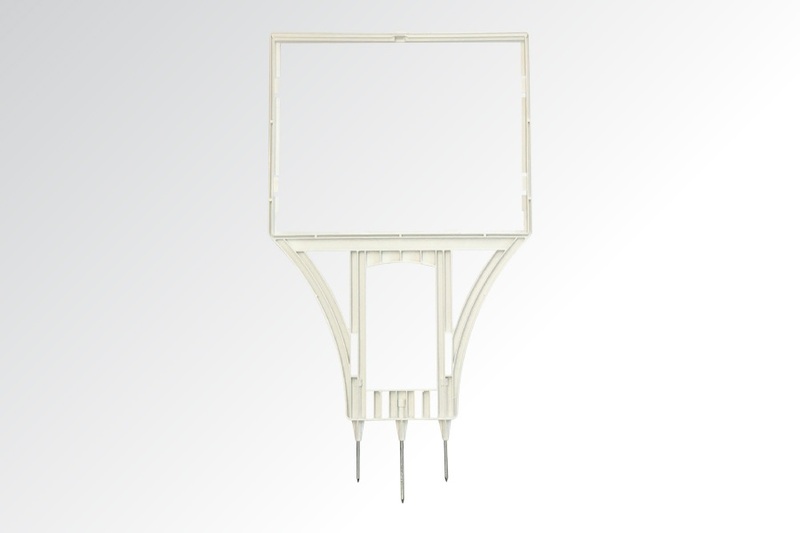 The Metal Ground Spike has 2 prongs which slide up inside the flutes of the corrugated plastic signs. 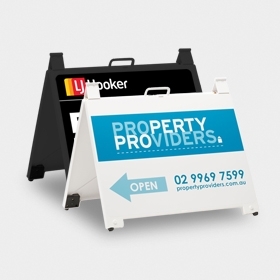 The Signholder has a strong Polypropylene frame which holds a 500mm W x 400mm H x 5mm corrugated plastic sign. You can see images of both products in the gallery on this web page. 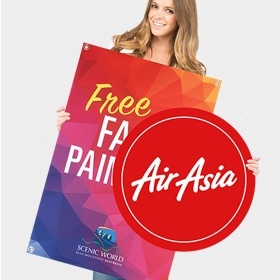 Can I use a larger corrugated plastic sign on the Metal Ground Spikes than you have stated? 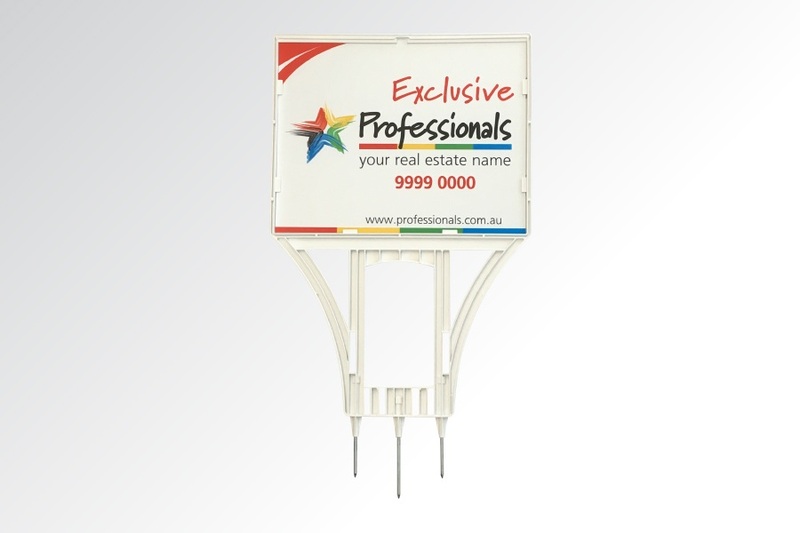 The Signholders are designed for a specific size 500mm W x 400mm H x 5mm corrugated plastic sign. 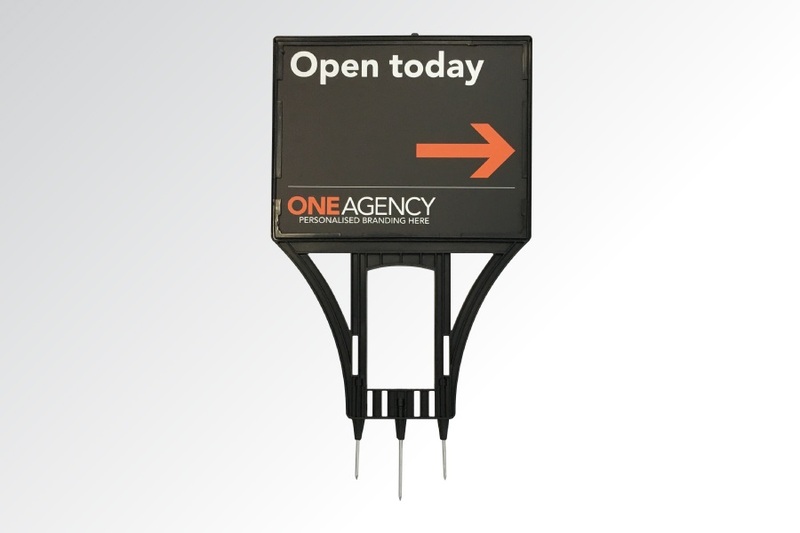 The Metal Ground Spikes can physically accept larger sizes but we recommend a maximum size of 600mm W x 450mm H to ensure stability of the sign. Can I buy less than 10 of the Metal Ground Spikes? Can I buy less than 5 of the Signholders? 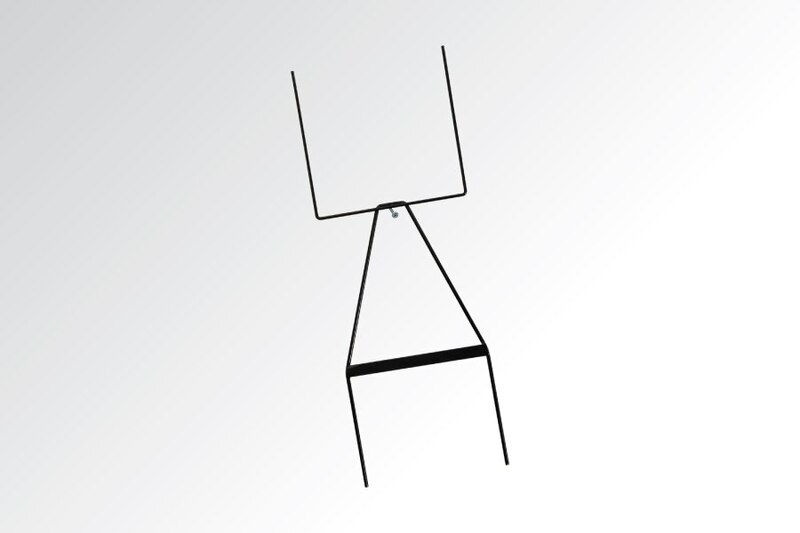 What material are the Signholders made of? 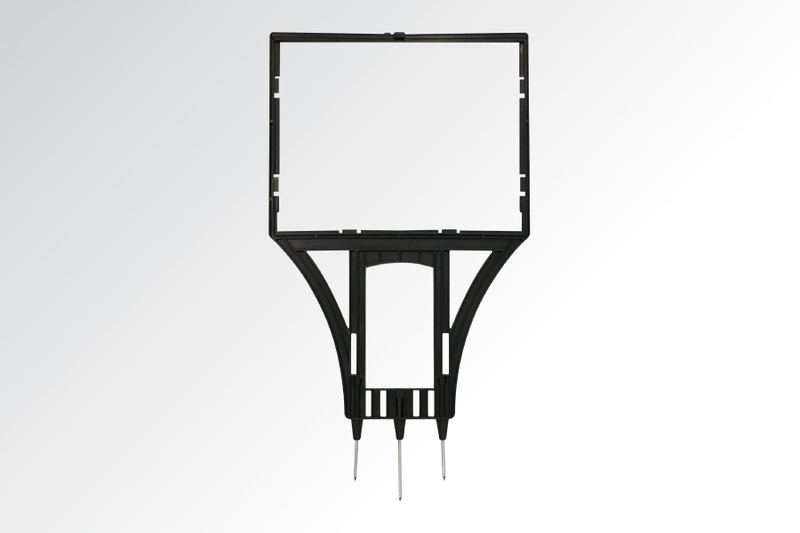 The Signholders are made from recyclable polypropylene and are weather resistant. 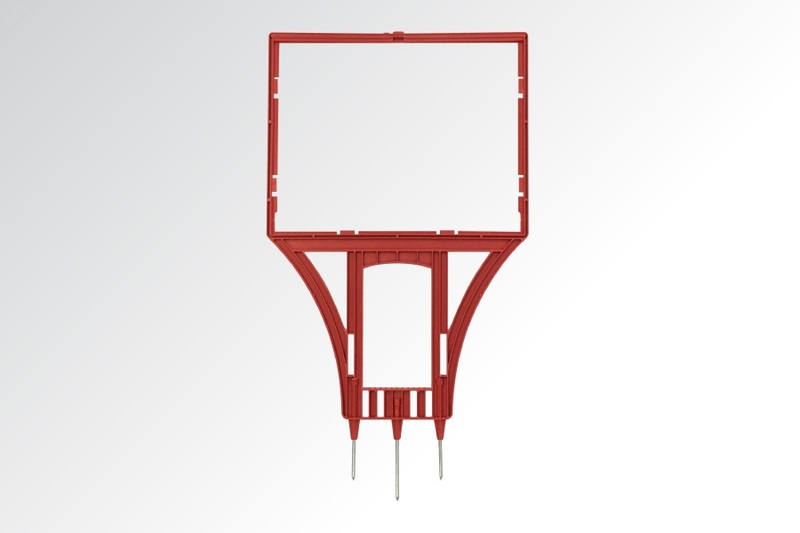 They have 3 sturdy galvanised steel prongs which provide excellent stability. How long does it take to produce the Metal Ground Spikes?